Dreaming of a warm winter? Become a snowbird! 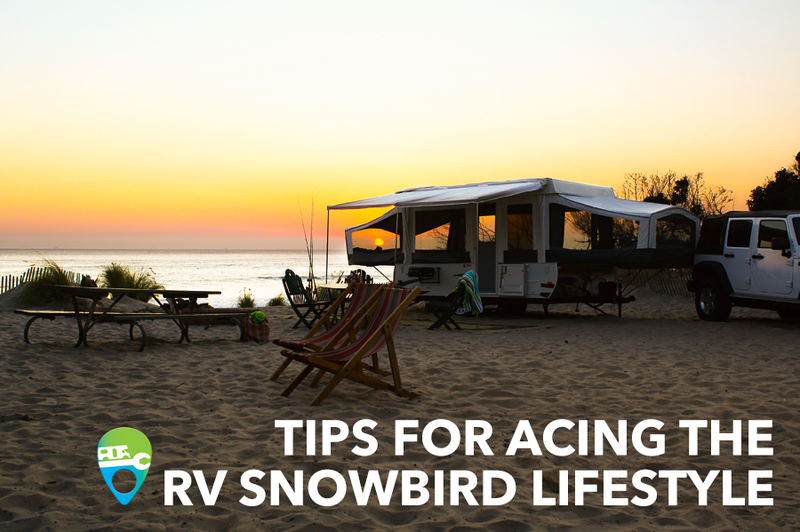 Snowbirds are defined as RV travelers who head to warmer weather and live in their motorhome or travel trailer for the winter. This RV Snowbird lifestyle is a great way to escape the cold each winter, heading south for warmer temps. Before you hop in your rig, be sure to check off a few to-do’s to ensure your winter in the sun is smooth and stress-free! RV Snowbirding is a very popular way of life, meaning you won’t be alone on the road south. 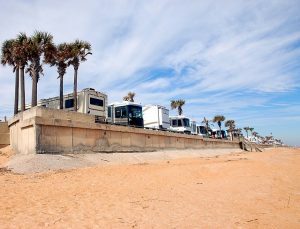 Many popular RV destinations in Southern California, coastal Texas and tropical Florida book out months in advance. In fact, many RV hotspots count on their Snowbird traffic each year as a major part of their tourism! Corpus Christi will welcome you as a Winter Texan, and the sleepy town of Quartzsite, AZ balloons to a whopping 150k+ residents during the winter months. So before you hit the pavement, make sure the park you’re headed to has vacancies. Additionally, many parks do not allow for long-term stay. If you want to stay put for the entire winter, you’ll need to find a campground that allows for RVs to stay in one spot for extended periods of time. Call ahead, and make your plans early in the year for your best chance at successfully booking your dream snowbird destination. Before you hit the open road and leave your sticks and bricks home in the dust, make sure you’ve set it up for success during your absence! This can be as simply as setting up mail forwarding and stopping your trash service, and as detailed making sure your bills are paid! Contact your Post Office for temporary mail service changes, or look into RV-specific mail forwarding like the Escapees RV Club or America’s Mailbox. If you usually receive and pay your bills by postal mail, you may want to look into automatic bill-pay options while you’re out of town, just to ensure nothing is missed. Stop your trash service and any additional monthly services you may not need while you’re on the road, such as internet and cable or house cleaning services. Enlist the help of a neighbor or friend to take care of any houseplants you may have. 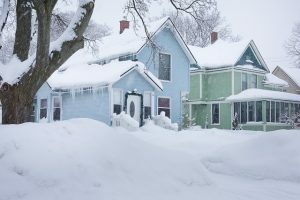 If you live in a particularly snowy state, you can even set up a shoveling service while you’re gone, just to make sure there’s no weather damage to come home to. Unplug your major electronics just in case there’s a power surge in your absence, as this could cause prized possessions like desktop computers and televisions to fail completely. With a little planning ahead, you can return home in Spring to a cozy, well-kept home! Plan for the best, prepare for the worst! Everyone envisions their vacation going perfectly, but there are some things you just can’t control, and health is one of them. Always make sure to find a pharmacy and doctor in your intended winter location, especially if you are at a point where you require regular medication or doctor’s visit. It is always better to be prepared than to make major decisions in stressful moments. Making sure your health insurance allows for out-of-state visitation should also be a priority. Give them a call to verify your coverage options, and they might be able to point you in the direction of a doctor in your winter state! If you travel with furry friends, you’ll want to make arrangements for their care as well. Check out veterinarian options in the area surrounding your winter home. Imagine this: you’ve booked the perfect sunny campground for the entire winter, your home is prepared for hibernation, and your health needs are in order. You’re finally in the rig heading south when…your engine fails. Or maybe it’s your air conditioning! Perhaps the water in your RV shower just doesn’t run hot anymore. Suffering a major mechanical breakdown while on the road can be a nightmare, both emotionally and financially. The good news is you can protect yourself from the stress of RV failures with an extended RV warranty. This type of RV protection will step in to pay for your RV repairs, allowing you to get back on the road, and back to that warm winter sun you’ve been chasing! Click here to learn more about RV warranty coverage from Wholesale Warranties, a sister company of RV Repair Direct. The RV snowbird lifestyle is a sought-after one, and for very good reason! Follow our tips above, and enjoy a warm, relaxing winter in your home-on-wheels. Your email address will not be published. Your comment will be displayed after approval. All fields are required.